On Friday, the New York Islanders played their first regular-season game at the Barclays Center, their new home in Brooklyn. The Barclays Center Fact Sheet boasts that the arena has "one of the most intimate seating configurations ever designed into a modern multipurpose sports arena with unparalleled sight lines." Undoubtedly, fans were excited to check out the Islanders' new arena, but some were left disappointed upon arriving at their seats. Those who were seated in sections 201 to 204 and 228 to 231, discovered they couldn't see one of the goals, which was directly below them. 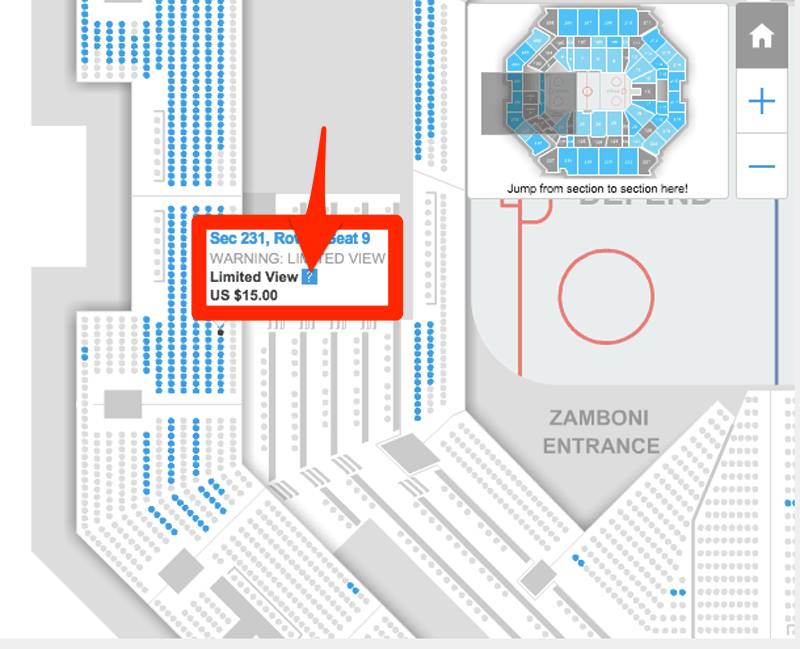 While the Islanders warn fans purchasing seats in those sections of a "limited view," they don't show them what the view actually looks like on Ticketmaster. Depending on the game, a ticket in these sections costs $21.85 to $175.40, including taxes and fees. Wrigley Field, home of the Chicago Cubs, is also known to have some terrible seats. At least the Cubs have an excuse, as Wrigley Field was built in 1914. 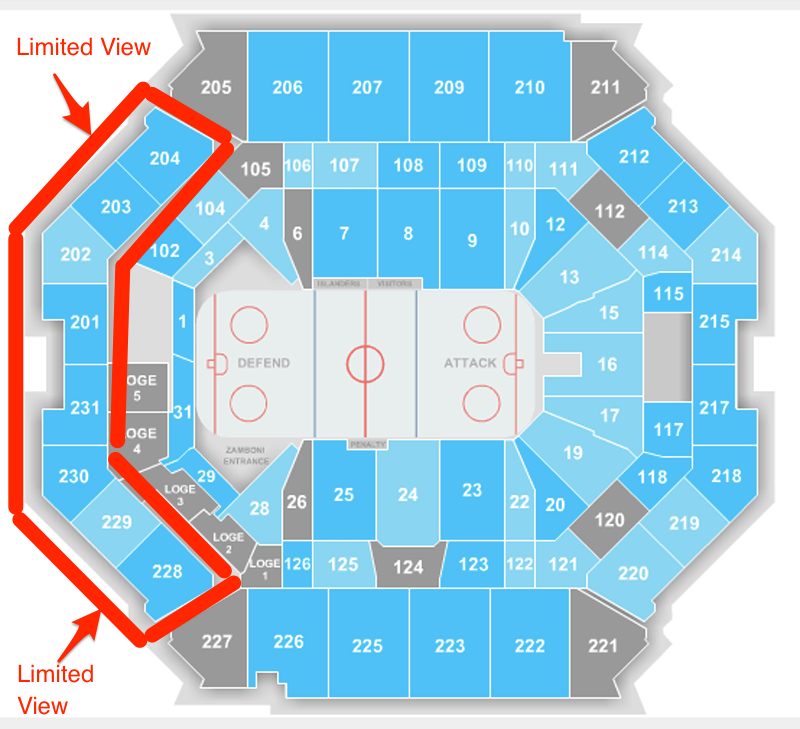 When purchasing tickets for Islanders games on Ticketmaster.com,BarclaysCenter.com, or at the American Express Box Office at Barclays Center, any limited view seat is clearly designated on the seat map. 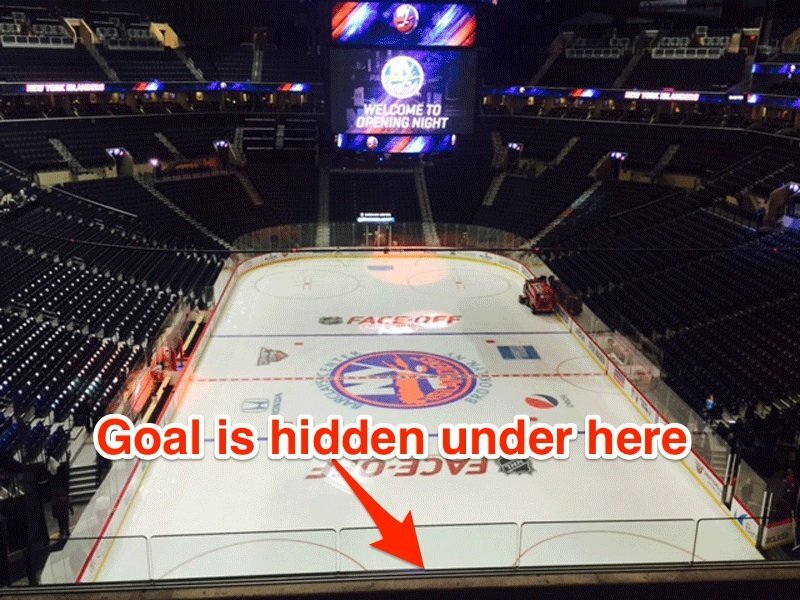 For seats in sections that have no view of a goal, this is specifically indicated, as well. Barclays Center and Ticketmaster are the safest, most secure and only authorized destinations to purchase tickets to Barclays Center events. By "specifically indicated" Barclays Center means if you click on the "?" indicated below when purchasing through Ticketmaster.